Deep hues of red mixed with green make the apples really stand out on these scrappy fabric apple trees. This e-pattern was originally published in Lots of Scraps: It's Time to Quilt. 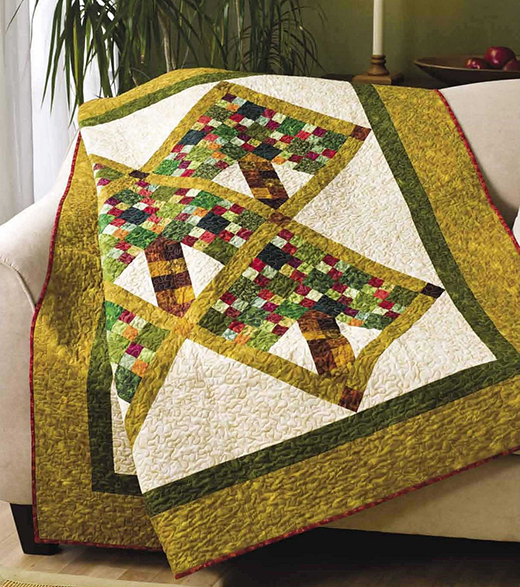 This Under the Apple Tree Quilt For Beginner Designed by Cate Tallman-Evans.